Werewolf: Fedora’s Redeemer? : It’s always music to my ears every time I hear a new version of a popular Linux distribution is being released. Yesterday, November 8, Fedora 8 codenamed "Werewolf" was unleashed, and FOSS enthusiasts from around the world are keeping a close watch. To those who didn’t know, Fedora was once considered the most important and popular Linux distribution before PCLOS and Ubuntu. However, a series of unpopular releases evidently affected its excellent reputation. 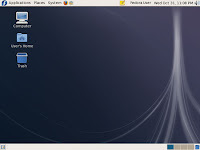 Even Eric S. Raymond, one of the most famous hacker and author publicly expressed his disgust with Fedora by sending the infamous “you blew it” letter to a number of Linux-related publications and mailing lists. It certainly added insult to injury. To Fedora’s adoring faithfuls, better believe in some Chinese numerology as number 8 is considered “lucky”. But, I know most of them won’t count on some inane superstition as the “Werewolf” promises to transform Fedora into a monster Linux operating system. •This release features GNOME 2.20. GNOME now includes mail notification in the Evolution mail client, the ability to fill in PDF forms in the Evince document viewer, improved file management, a revamped Appearance control panel applet, a revised help system, and many other enhancements. •Online Desktop provides a desktop experience designed around online services. A preview of Online Desktop is provided via BigBoard, which is a optional sidebar in GNOME. •KDE 3.5.8 is available in the KDE Live image as well as the regular DVD. The KDE 4 (Beta) Development Environment is available in the repository. •Xfce 4.4.1 is available as part of this release. •NetworkManager 0.7 provides improved wireless network management support. It includes support for multiple devices and provides the capability of system-wide configuration, among many other enhancements. •PulseAudio is now installed and enabled by default. PulseAudio is an advanced sound server compatible with nearly all existing Linux sound systems. PulseAudio allows for hot-switching audio outputs, individual volume controls for each audio stream, networked audio, and more. •CodecBuddy is now included, and promotes free, superior quality, open formats to end users trying to play multimedia content under patent encumbered or proprietary formats. 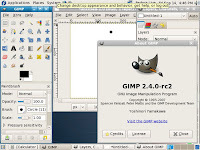 •Compiz Fusion, the compositing window manager that re-merges Compiz and Beryl, is installed by default. To enable Compiz Fusion in GNOME, use the System → Preferences → Desktop Effects tool. Ongoing, long term Xorg work continues to enable Compiz by default. •The completely free and open source Java environment called IcedTea is installed by default. IcedTea is derived from OpenJDK, includes a browser plugin based on GCJ, and is available for both x86 and x86_64 architectures. GCJ is still the default on PPC architecture. •OpenOffice.org 2.3, with many new features, is available as part of Fedora 8. •Bluetooth devices and tools now have better graphical and system integration. •Laptop users benefit from the "quirks" feature in HAL, including better suspend/resume and multimedia keyboard support. •There is now improved power management thanks to both a tickless kernel in x86 and x86_64 architectures, and a reduction in unnecessary processor wakeups via powertop. •This release of Fedora has a new look and feel, called Infinity, from the Fedora Art team. •A brand new graphical firewall configuration tool, system-config-firewall, replaces system-config-securitylevel. •This release offers Kiosk functionality via SELinux, among many new enhancements and security policy changes. •The glibc package in Fedora 8 now has support for passwords using SHA256 and SHA512 hashing. Before only DES and MD5 were available. The tools to create passwords have not been extended yet, but if such passwords are created in others ways, glibc will recognize and honor them. •Secure remote management capability is now provided for Xen, KVM, and QEMU in Fedora 8 virtualization. •Eclipse 3.3 (Europa), a new release of the acclaimed development platform, is available as part of this release. •In this release, the performance of yum, Pirut, and Pup have been significantly improved. 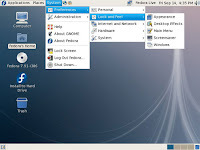 •Fedora 8 features a 2.6.23 based kernel. I have read a review of F8, and it was very positive. It says “This is a nice release with a pretty sweet assortment of features that you won't find anywhere else. Fedora still manages to differentiate itself and rise above many other contenders by delivering early access to new technologies.” The full review can be found here. Fedora will rule again but not with this release version. It can't compete with Ubuntu yet in terms of ease of use. it is _not_ installed by default but compiz-fusion _is_ available in the repos. (not sure bout the DVD release though). Only the core compiz is installed by default but no compiz-fusion.